The MAC 10 has arrived! Click here! 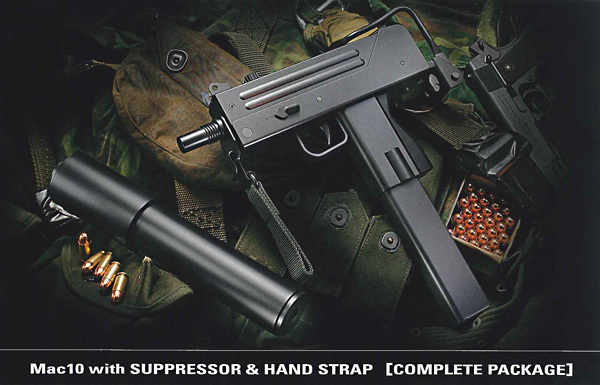 Coming soon from Marui, is the Mac 10; it's due to come out as a complete gun, suppressor & hand strap package. The length is the same as on the real one, measuring 295mm/548mm (with stock extended), the weight is 1480g. 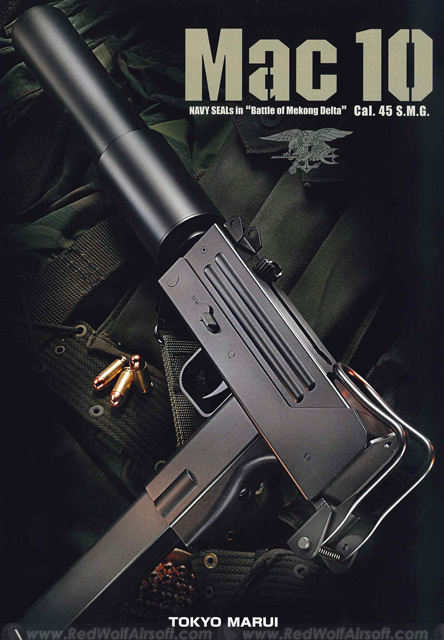 Magazine capacity is 65 rounds, and seems to be based on Marui's tried & trusted AEP system. 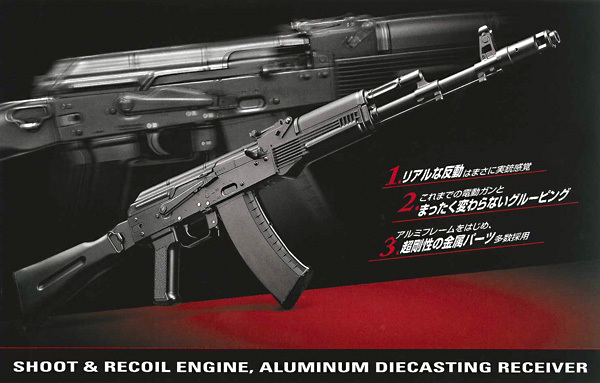 An interesting AEG, in the form of this Marui AK74MN, which boasts a "recoil engine" and an aluminum receiver. The magazines (capacity 74rds) are apparently new designs, as is the mechabox. 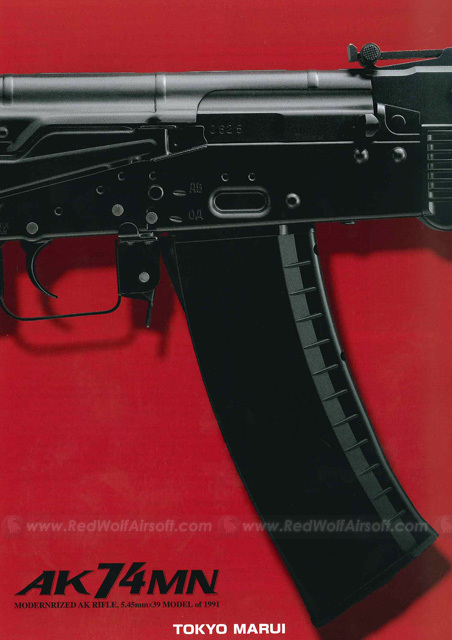 The stock is foldable, and the length of the gun is 700mm/943mm (stock extended). Inner barrel length is 460mm. Bolt carrier movement of 5cm. Check out the videos below for a sneek peek. 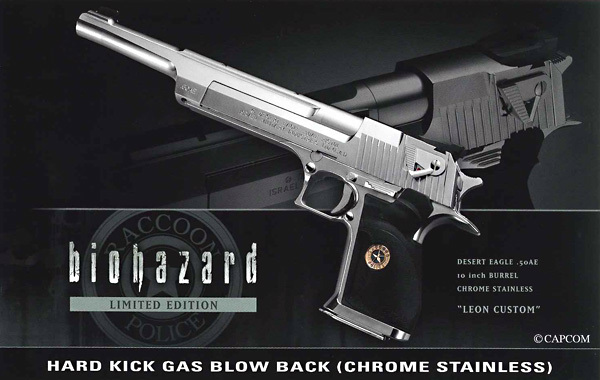 Marui carry on their tradition of "game guns" with this Biohazard Limited Edition Desert Eagle. Coming under the moniker of "Leon Custom", based on the in-game character's gun. 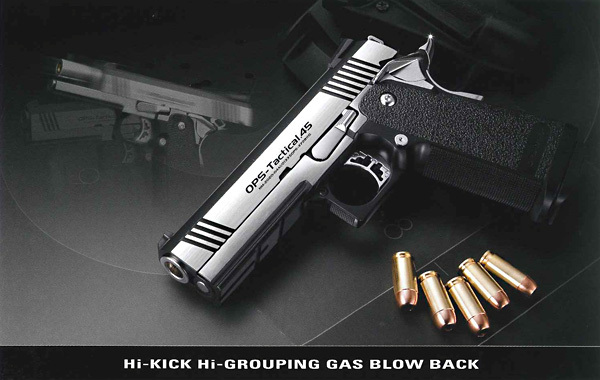 It features the Chrome Stainless finish as seen on the P226 and has a Racoon Police emblem on the grip. Weight: 1277g, length: 370mm, capacity: 27+1. Quite an intriguing move for Marui, not that we're complaining! 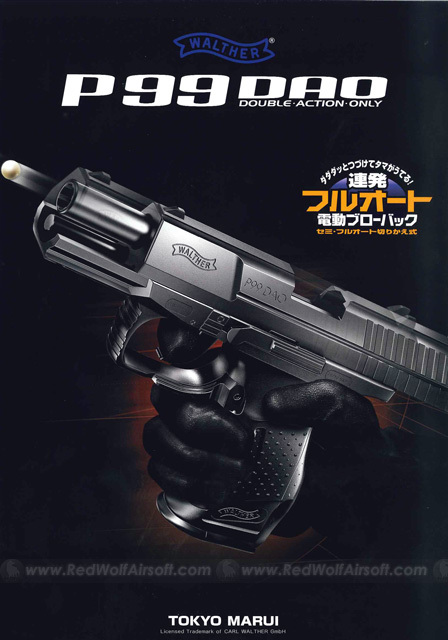 They are coming out with an Electric Blowback P99. It features authentic trademarks and measures the same length as the real steel one. It holds 16 rounds and is powered by battery, obviously. 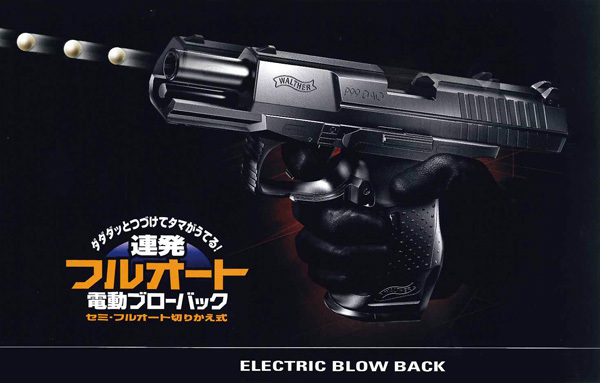 We're quite keen on seeing the electric blowback in action, rest assured we'll post more info as we find out more, so keep those eyes peeled! There are a lot of fans of the Hi-Capa out there, and for a very good reason too - they're solid, accurate, reliable guns, and even though there is no real steel equivilent as such, they are great airsoft guns. 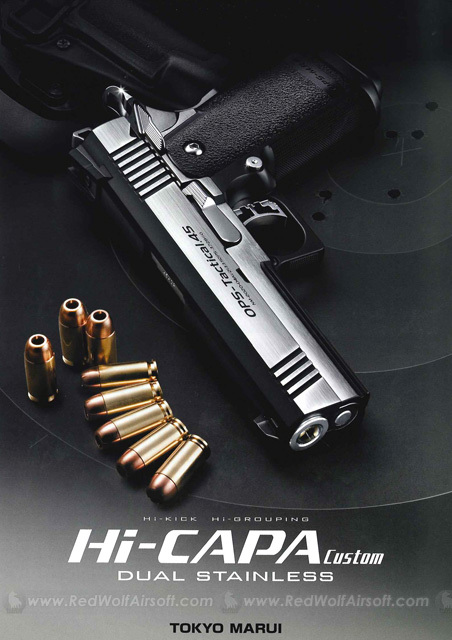 Marui will be bringing out a Dual Stainless version of their 4.3 Hi-Capa, which gives it a nice two-tone finish.